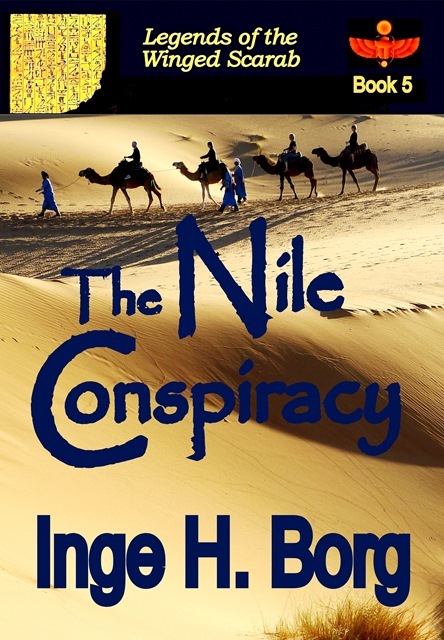 “The Nile Conspiracy” by Inge H Borg is another strong effort in her exciting and fresh “Legends of the Scarab” Series. 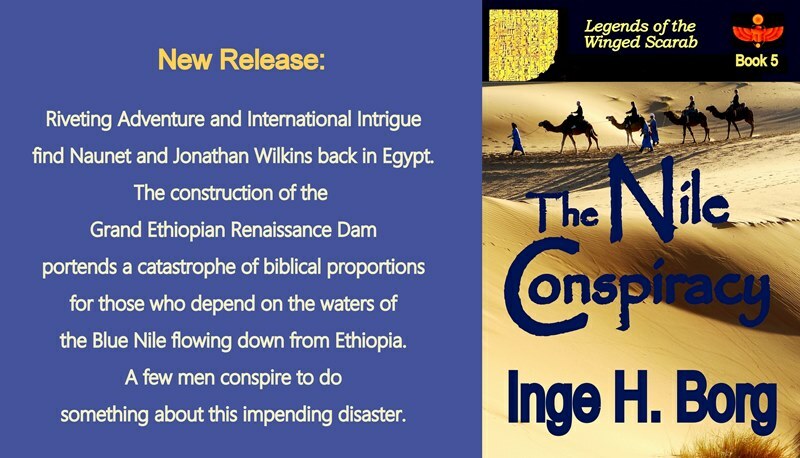 While I’m not usually a fan of conspiracy thrillers, this one touches on a real issue: the sharing of water and natural resources. A previous book in the series was set in an apocalyptical world and opened questions of how the future of humanity might be shaped. 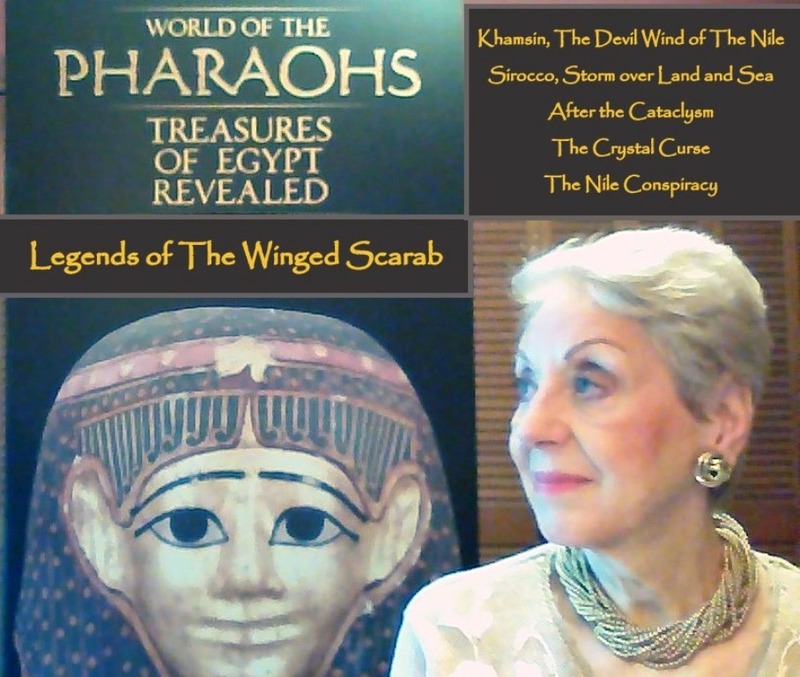 With her finger so tightly on the pulse of time the story had me at ‘Nile’ and never let off. Political agendas, archaeological and personal interests come to play. The story itself is really good. I’ve warmed to the characters as much as I have grown fond of the skillful way in which Borg uses language. Highly intelligent and gripping this is one of her finest. Thank you for reblogging…I left a comment on your blog; but WP doesn’t like me (sniff). So, not sure if it will appear. A very intriguing topic. Thanks for sharing, Christoph! It is. Since reading the book I saw an article about similar issues at the Mekong river. A really hot topic! What a nice surprise to wake up to (here across the Pond). 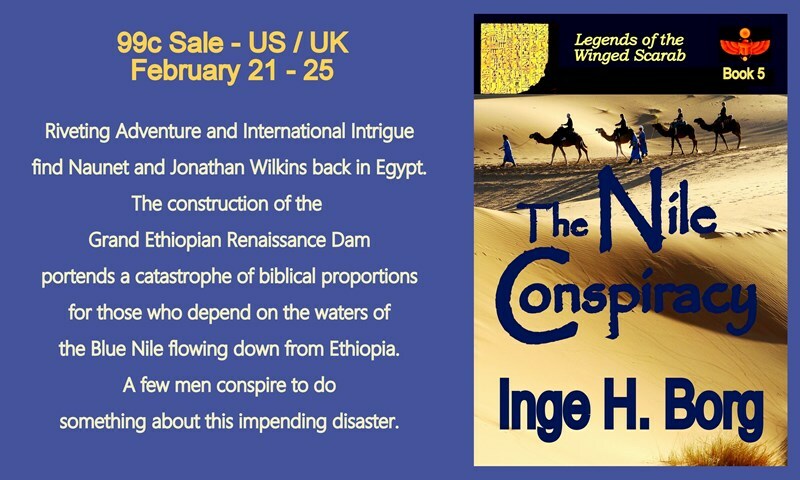 Thank you, Christoph, for featuring The Nile Conspiracy. Support like yours puts me right back into my chair – perhaps a ‘sequel’ to reveal the origins of the Legends (I am thinking 6500 BC) might be in order…You know how it goes. The wheels never stop spinning (luckily). Again, thank you – and everyone – for your kind comments. My pleasure and yes, please to the sequel. Oooo… It sounds exciting! Mega hugs!